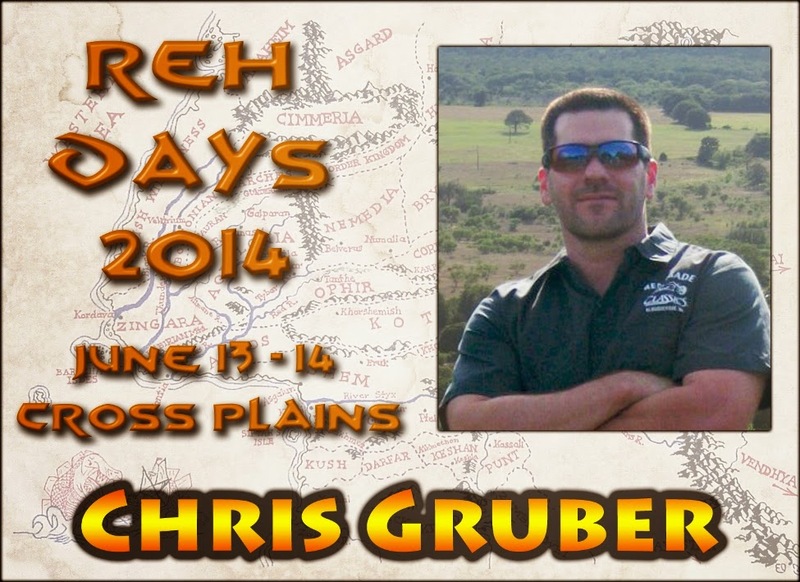 Chris Gruber has been involved in Howard Studies for over a decade and has served on the review board for The Dark Man: The Journal of Robert E. Howard Studies since 2008. He has authored award-winning essays and introductions that have appeared in publications such as Boxing Stories, The Cimmerian, REH: Two-Gun Raconteur, and Echos de Cimmerie. He was the editor of Boxing Stories by Robert E. Howard, published by the University of Nebraska Press, and is the co-editor of the four-volume collection Fists of Iron by the REH Foundation Press. Chris has also presented his original research for both academic and popular audiences and has been an instrumental force in revealing the impact that the “sweet science” has had upon Howard and his fiction. During this year’s Howard Days celebration don’t forget to catch the main event, “Fists of the Icehouse,” where visitors can rub cuts and swap stories with the Three Amigos of Howard boxing fiction: Chris Gruber, Mark Finn, and Jeff Shanks—this year joined by stablemate and Guest of Honor Patrice Louinet.